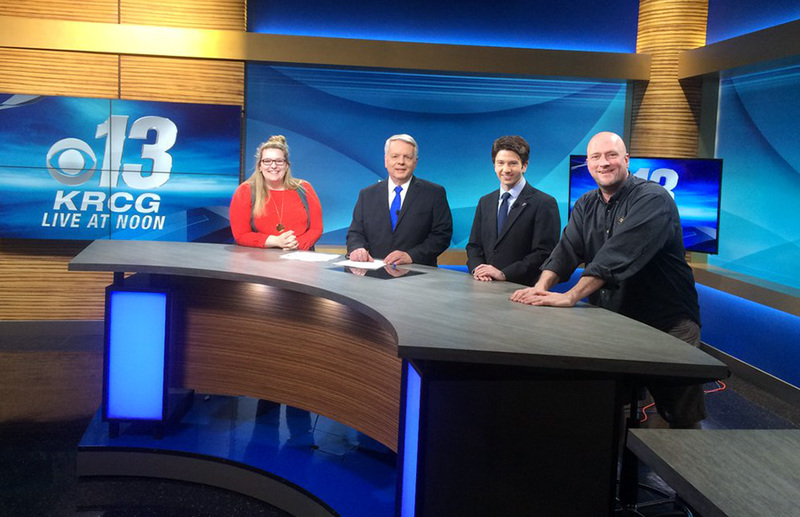 Sinclair’s KRCG-TV, serving Jefferson City/Columbia, Missouri, debuted an upgraded set design on Monday from Devlin Design Group. 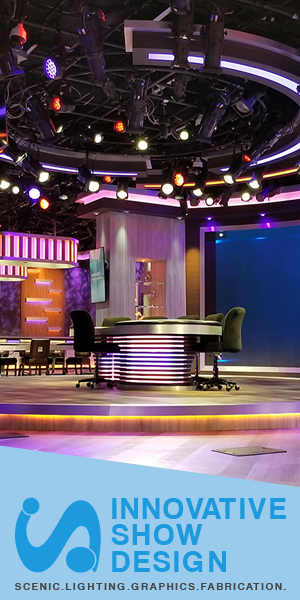 The set features a curved wood-fronted anchor desk with backlit columns. Behind, a monitor provides branding, with abstract duratran graphics. 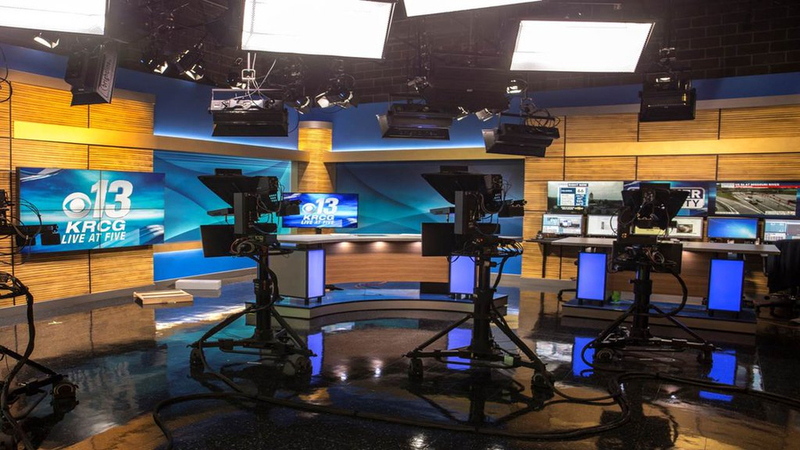 The weather center includes a 3×1 monitor array and large work surface, with a 2×2 video wall to the left of the anchor desk. Located in DMA 138, the sets most unique feature is its wooden wall covering, with a panel design and unique texture. 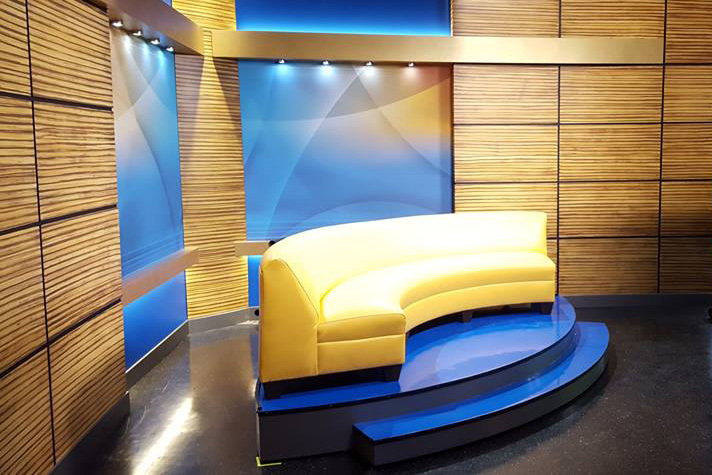 The studio also includes a small interview area, which has a curved couch with wood-paneled walls.